3 phase squirrel cage Induction Motor is one of the most popular types of AC electric motor which achieve the electromechanical energy conversion through stator and squirrel cage rotor by electromagnetic induction. That’s why it’s called squirrel cage induction motor. Normally, we use the motors in industrial drives because they are rugged, reliable and economical. By the way, the induction motor is also called an asynchronous motor because it runs at a speed lower than its synchronous speed. In this article, I am going to focus on the working principle of the induction motor. However, even before I do that, it is important to know the various parts of the induction motor. Nikola Tesla (July 10, 1856 – January 7, 1943), Serbian-American inventor, mechanical engineer, an electrical engineer. He is considered to be one of the important promoters of commercialization of electricity because of the design of modern AC systems. On the basis of the theory of the electromagnetic field discovered by Michael Faraday, Tesla invented the induction motor in 1887, and his theory of electromagnetism was the cornerstone of modern wireless communication and the radio. How a 3 phase squirrel cage Induction Motor Works? Actually, when we give the stator winding AC power supply, the current flow in the coil will produce a magnetic flux in the coil. Now, set the rotor windings to short circuit. The flux from the stator will cut the coils in the rotor, and the Faraday’s law of electromagnetic induction will cause the current to flow in the coil of the rotor due to the short circuit of the rotor coil. 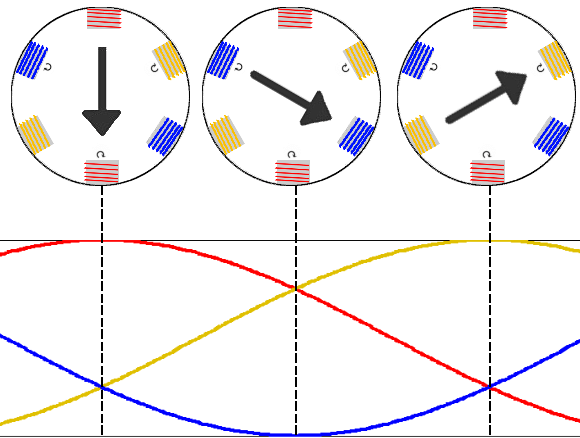 The stator and rotor current flow produce two fluxes, one is the stator flux and the other is the rotor flux, and the rotor flux will lag behind the stator flux. Thus, the rotor will feel the torque that rotates the rotor in the direction of the rotating magnetic flux. Therefore, the speed of the rotor will depend on the AC power, and the speed can be controlled by changing the input power. The rotor consists of a rotor core, a rotor winding and a rotating shaft. The rotor core is also part of the main magnetic circuit, generally by the thickness of 0.5mm silicon steel stack, the core fixed in the shaft or rotor bracket. The entire rotor is cylindrical. Rotor windings are divided into cage type and winding type. When the load of the induction motor changes, the rotor speed and slip rate will change, so that the rotor conductor in the electromotive force, current and electromagnetic torque corresponding changes to meet the needs of the load. In accordance with the positive and negative and the size of the slip, induction motor with motor, generator and electromagnetic brake three operating conditions. What is a squirrel cage rotor? A squirrel-cage rotor is the rotating part of the common “squirrel cage” induction motor. It consists of a cylinder of steel laminations, with aluminum or copper conductors embedded in its surface. 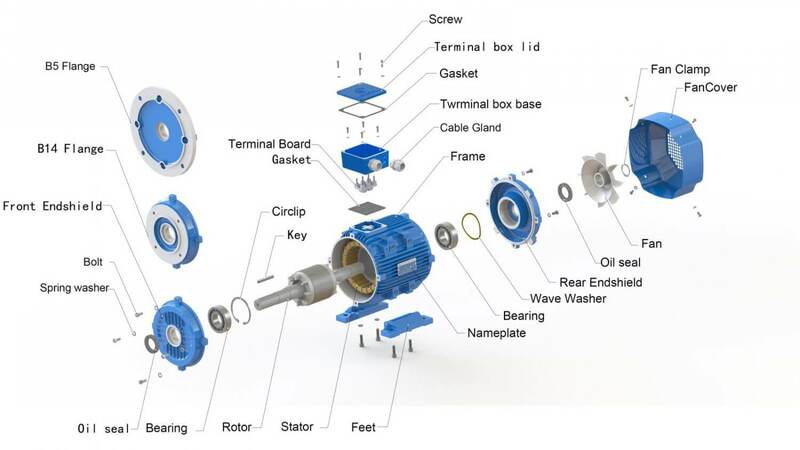 In operation, the non-rotating “stator” winding is connected to an alternating current power source; the alternating current in the stator produces a rotating magnetic field. The rotor winding has current induced in it by the stator field, and produces its own magnetic field. The interaction of the two sources of magnetic field produce torque on the rotor. 1, start the torque is small, but its structure is simple, high reliability, high efficiency. 2, can be a continuous operation. 3, the rated speed of the motor with the size of the load changes. 4, used in the case of no need to brake speed. 5, there are two-phase induction motor and three-phase induction motor. 6, three-phase induction motor power U (200V 50 / 60Hz), T (220V 50 / 60Hz), S (380-440V 50 / 60Hz) and so on. In short, the working principle of any induction motors involves stator flux and squirrel cage rotor flux. As you can see, the 3 phase squirrel cage induction motor could achieve the electromechanical energy conversion simple and straight forward. At Hordu, we have a range of three phase induction motors that vary in design, technology and production capacity. 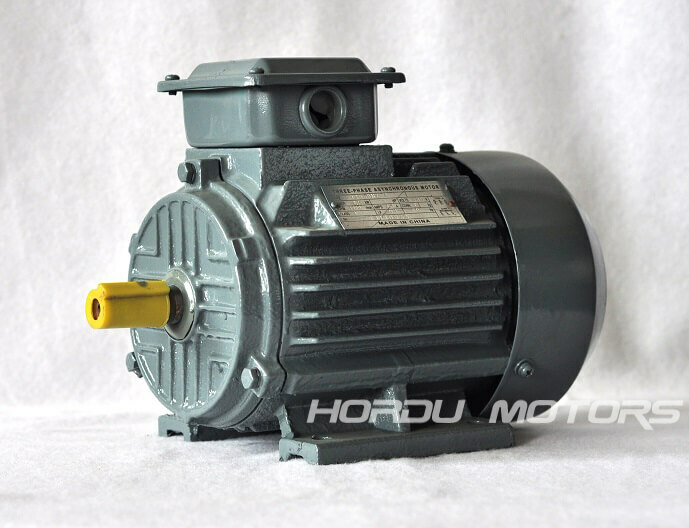 For more information about Hordu induction motors, feel free to contact our team.